Do you run into high heating bills every winter? It’s understandable here in Plainfield because our winters are so long and cold. We take care of many homeowners here across Illinois, we understand that many come to expect the higher heating bills in winter along with other minor inconveniences to your heating system. But there are many ways for you to get the most out of your heating system while avoiding all these problems. If you need great HVAC services in Plainfield, then you need our team. If you want to know how to get the most out of your heating system, then keep reading below. Are you having any problems with your heating system in our Illinois cold? Have you had any problems in the past few years? Then you should call for repairs. We understand why homeowners avoid scheduling repair services. You think that you can get by without them or that they’re too expensive so you’ll put them off to next week or maybe next month. The longer you wait to schedule repair services, the more you’re decreasing the efficiency of the system. Repair services help get your system running like new again and boost the efficiency of your system, effectively increasing your system lifespan and enhancing the performance of your system and the comfort of your home. Do you want to increase the warmth of your home this winter? Don’t crank up the thermostat. Instead, consider installing a whole-home humidifier. Humidifiers work to balance the moisture of the air in your home. Whole-home humidifiers are great because they work in tandem with your pre-existing heating system to evenly moisturize your air. When you think about humidity, you might think about summer conditions and excess humidity in the air. While humidity is often thought of as a burden, a lack of humidity is just as bad for you as an excess amount of humidity. The ideal humidity level for a home is between 30% and 50%. Water vapor acts as an insulant so you can feel warmer even with your thermostat set to a lower setting. Have you had heating maintenance performed on your system yet? If you haven’t, you need to! Heating maintenance is a simple task that allows you to boost your HVAC efficiency. When your HVAC system runs at peak performance, it lowers your heating bills because your heater doesn’t have to work against a bevy of inconveniences and inconsistencies to heat your home. You’ll get the best heating and highest comfort in your home at the lowest price. Our crew here at Johansen & Anderson Inc has provided quality HVAC services to this area for the past 70 years. We pride ourselves on having a trustworthy, skilled team committed to satisfying our customers. When you want great heating services, you want the help of our team. 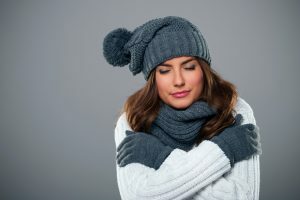 If you want to make the most of your heating system during the cold weather, schedule HVAC services with our team here at Johansen & Anderson Inc. We’ll keep you warm through winter.